Our crews renovated a previous Mazda dealership, installing new offices, restrooms, waiting lounge, décor, branding and fixtures. Particular attention was paid to the parts and service areas, as these are very important to SFE and their customers. Scott Fischer Enterprises started in 1987 in Fort Myers, Florida, and Fischer was selected as “Entrepreneur of the Year” in 2012. 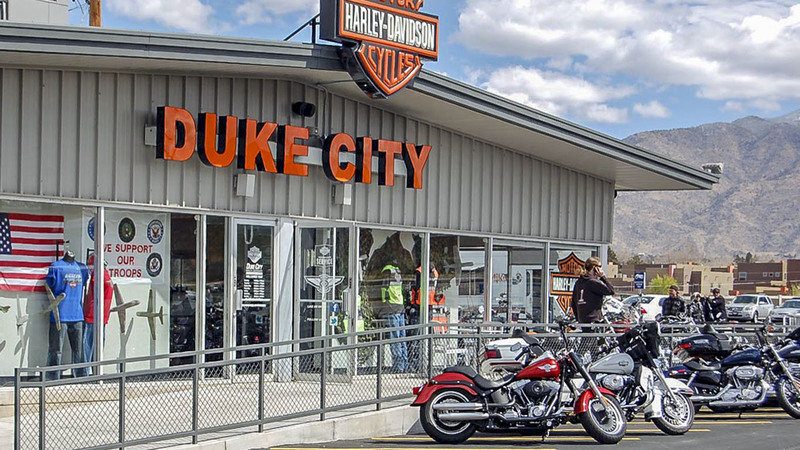 Duke City Harley is their sixth facility. 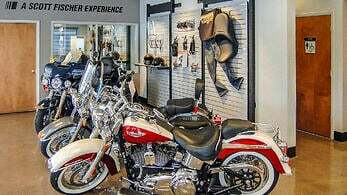 The company stresses the Harley Experience, both for their customers and their employees, knowing that happy, informed employees make for satisfied customers. The Scott Fischer Experience includes the delivery of your new bike by service techs so you’ll know everything there is to know about it, Harley “Rider’s Edge” classes for both beginners and experienced riders, full Harley apparel store, numerous rides and other events, and lifestyle store events. The new dealership joins their first Albuquerque dealership, Thunderbird Harley-Davidson, and is located at 8603 Lomas Boulevard NE, next door to Rich Ford Sales.